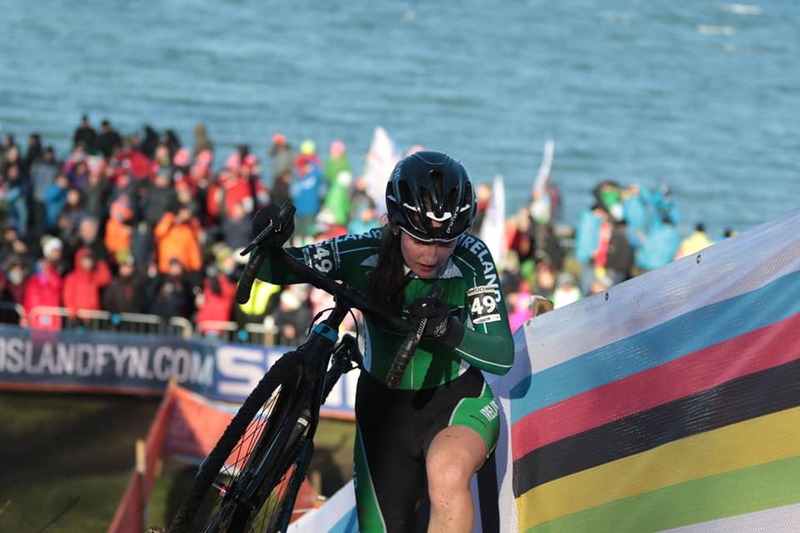 Lara Gillespie and Lucy O’Donnell were in action today in the U23 race at the World Cyclocross Championships; both finishing the 15.75km event. Aged just 16 and 17 years, the Irish are juniors but were riding the U23 event because there is no junior race for women at these Worlds. However, far from being overawed with competing against seasoned international from the discipline’s best nations, some of whom are up to six years their senior, the Irish got stuck in. 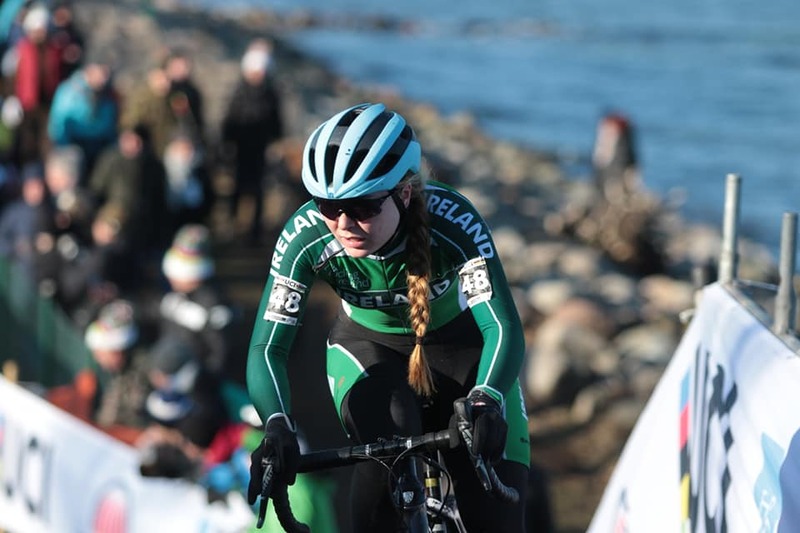 And in a six-lap race that saw some in the field lapped by the strongest women, the Irish ploughed on and put in a very solid performance. The day belonged to the Dutch as they collected all three medals on offer. 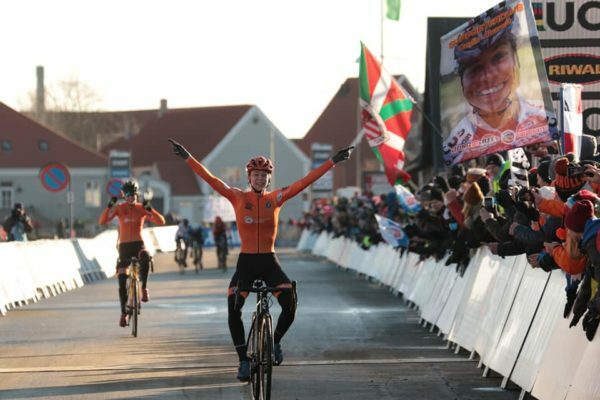 Inge Van Der Heijden won just three seconds ahead of compatriot Fleur Nagengast. And another five seconds back Ceylin del Carmen Alvarado bested a small group of four to claim the bronze. Lara Gillespie finished in 40th at 4:45 while O’Donnell, who was a youth rider last year, was 45th at 7:28. Dutch masters Inge Van Der Heijden, Fleur Nagengast and Ceylin del Carmen Alvarado take the medals. Ireland’s Lucy O’Donnell battles an incline on the course in Denmark.